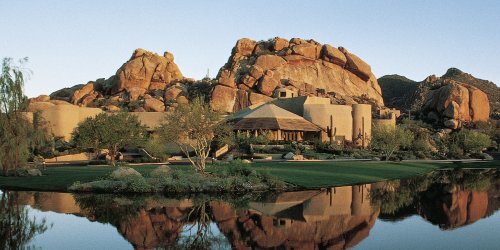 There is no better time to plan a golf vacation at the Boulders Resort & Spa, and the fun doesn't stop when you sign up for our "Stay and Play Package." After a round of championship play on one of the world's top courses, golfers can relive the highlights of their game over lunch at their choice of resort dining venues before heading over to the spa for post-links relaxation. Boulders Golf Club reserves the right to change price and offer at anytime. Prices and offer are subject to change without notice. ArizonaGolfer.com is not responsible for errors posted in this golf package.